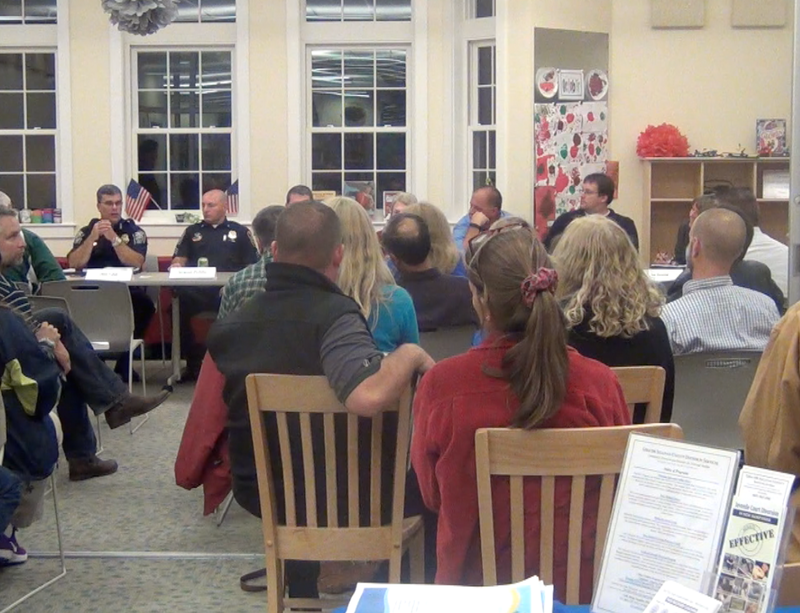 Around forty Sunapee residents gathered at the Abbott Library on Thursday night to hear and discuss the findings of a 2015 survey taken by Sunapee students on their use of drugs, alcohol, sexual activity and bullying. Sunapee police Chief David Cahill opened the discussion with the laws pertaining to under age drinking and drug use and why they have to arrest students if caught with alcohol or drugs. Sunapee High School principal Sean Moynihan then spoke about school policy towards drugs and alcohol and school psychologist Dorie Shaw talked to the audience about what the school does to help students who have problems with alcohol and drugs. Athletic director Tom Frederick then spoke about how the use the The Life of an Athlete program is used to show students how drugs and alcohol can hurt an athlete’s performance. The last two speakers were Dennis McNichol and Kirsten Vigneault from the Greater Sullivan County public health network who talked about how the government can help with the drug and alcohol problem in Sunapee.